The unaudited month ending results for the CCHOA for February 2018 and the 8th month of the 2017/2018 year are enclosed for your review. The combined Reserve account balance is $5,007,500.72. The Reserve balances are less than the balance for February 2017 which was $8,917,858.96. As previously mentioned in the more recent reports, significant maintenance projects are continuing where the Reserves are being used for these projects. It continues to be expected that when these projects are completed the Reserves will start to increase which will be necessary to insure that deferred maintenance is not contemplated since the funds are available when needed. Please see additional information below. Currently Common Administration, Green Turtle Cay, Antigua Village, Trinidad Village, Blue Anchor Cay, Port Royale Village and Mardi Gras Village had higher expenses that that which was budgeted. The abbreviated explanation for the variance is listed for each Village. Common Administration had higher income (fines) than that which was budgeted. 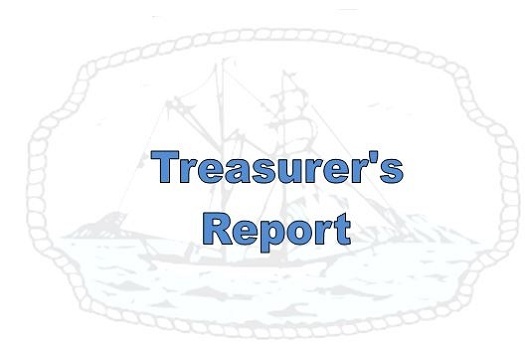 Green Turtle Cay, Antigua Village, Trinidad Village, Blue Anchor Cay, Port Royale Village and Mardi Gras Village had a deficit for current Net Income for this period. Each month the variance between the budgeted amounts for the 10 Villages, plus the Administration, are listed in the more comprehensive detailed accounts. The following is a brief overview of the more significant variances within the combined accounts for the 10 Villages and the Common Administration: Deficit- pool wages, maintenance special projects, navaid expenses, temporary landscape help, sprinkler parts, refuse, termite work, WATER, sewer fees, allowance for doubtful accounts, annual meeting, audit, computer services, telephone and legal; Surplus-maintenance wages, maintenance employee burden, janitorial supplies, dock maintenance, personal leave, Grounds wages which are offset with the outsourced landscape contract, special projects in grounds, grounds employee burden, tree trimming, plants, leased equipment, vehicle fuel, the master policy, security contract, outside plumbing, outside roofs, gas and electric, administrative miscellaneous expenses. As mentioned above a more detailed accounting can be found in the individual Village budget recap. This information is available on line or in the CCHOA office. Currently, the CCHOA has determined that $500,000 was available for additional CD purchases. As of March 19, 2018, $250,000 has been invested in a 6 month CD at the rate of 1.8%. Another $250,000 was invested in a 1 year CD at the rate of 2.05%. The above two rates are at the upper end of quality (FDIC Insured) investment CD certificates. These higher rates are normally reserved for initial “teaser” rates. No CDs will mature during the month of April. $750,000 will mature during May and June. Currently the CCHOA has $1,494,657.44 in cash. Homeowners in both Villages recently approved special assessments to refund the borrowed funds from the CCHOA Reserves. Maintenance obligations for both Villages are nearly completed. The special assessments for Montego are $1,742,000 and for Antigua it is $1,491,480. These amounts will pay off the borrowed amounts and the Villages will resume funding their Reserves in each of the ensuing years. It is expected that after July 1 the CCHOA Reserve account will resume the continued increases towards full funding in 30 years.